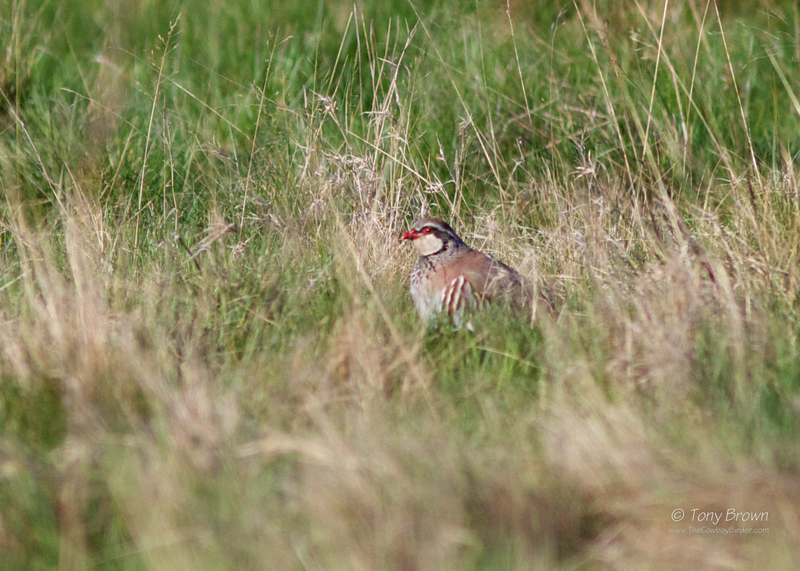 The Cowboy Birder: Aha - Partridge! Whilst on a short break to Marrakech with Mrs B (more of that little jaunt another time) I almost choked on an olive when I read the news of a rather random but most welcome Red-legged Partridge had been found parading up and down the Flats - not wanting to miss yet another good bird for Wanstead, at the first opportunity I was out at first light searching all the A-typical Partridge habit! 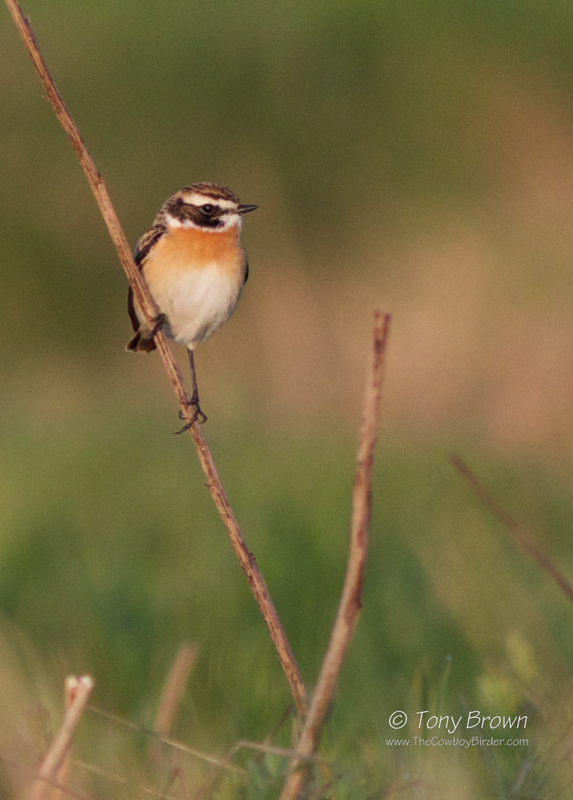 With no sign of the bird early doors, whilst searching I did discover a cracking male Whinchat in the grassland near Alexandra Lake, this was later joined by a male Northern Wheatear - now there's a difficult beauty contest decision. Soon after I was watching my first Common Whitethroat of the year when Nick text to say the Partridge had been seen again south of the Broom fields. 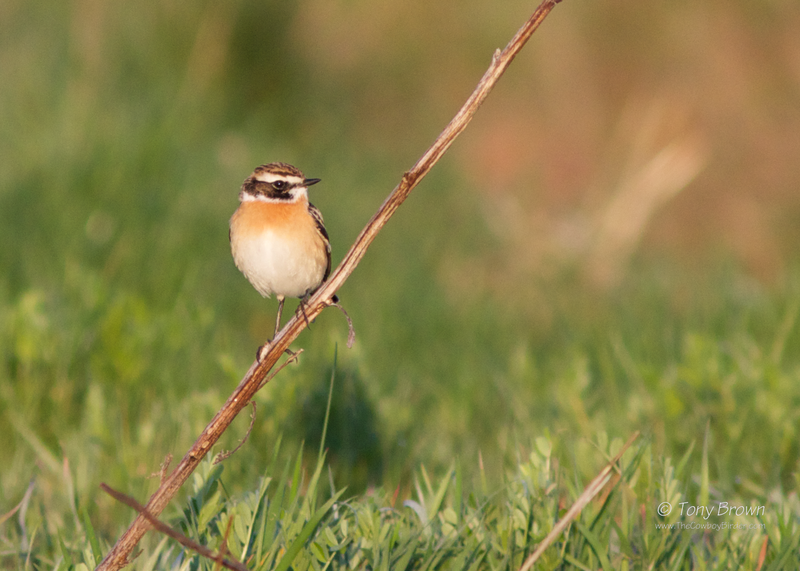 Quickly making my way over there, I found the bird hunkered down in the long grass - back of the net, patch tick! Moving closer and trying to get a slightly better view, the bird made a dash for cover and flew into the nearest patch of Brooms, hotly pursued by a Crow. Further searching in the area resulted in a blank, but later as I was discussing Morocco in a bit more detail with Richard the bird came out onto Centre Path in full view, before scarpering quickly back into the long grass again. Before leaving the Flats I also added House Martin and the patch's first Swift of the year, bringing the Patch Year List Totals up to a mediocre but respectable 82 - as Saturday mornings on the patch go, this would probably merit a B+.